Happy Monday! Summer vacation is in full swing by now! Do you have something fun prepared for your kids? How do you keep them entertained during the summer months? So, today I want to share my last layout with the June kit. 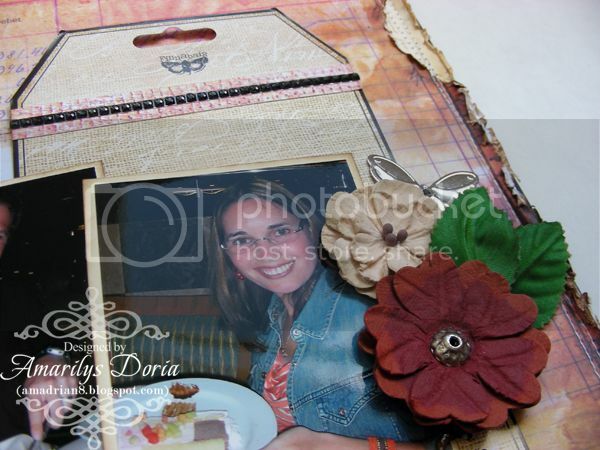 This last layout is loosely based on the May 2013 DA Sketch Challenge and the pictures are also from our recent cruise to the Bahamas. 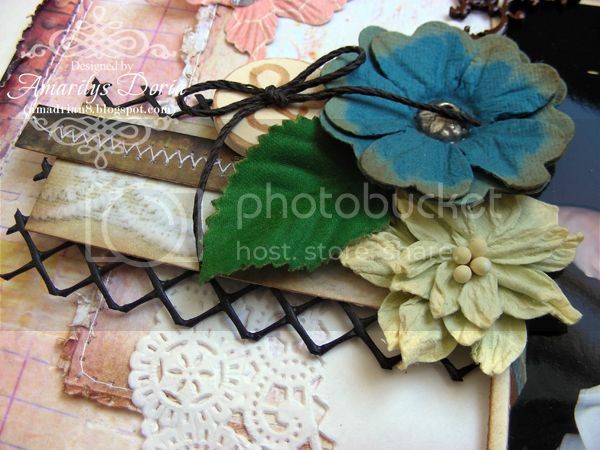 I used the Main Kit, The Embellishment Add On and Flower Add On for this layout. The doily and DA chippies are from my stash. I wanted to have a lot of texture and layers on this layout and I think I achieved it! here's a close up of one of the corner clusters. Close up of the journaling. 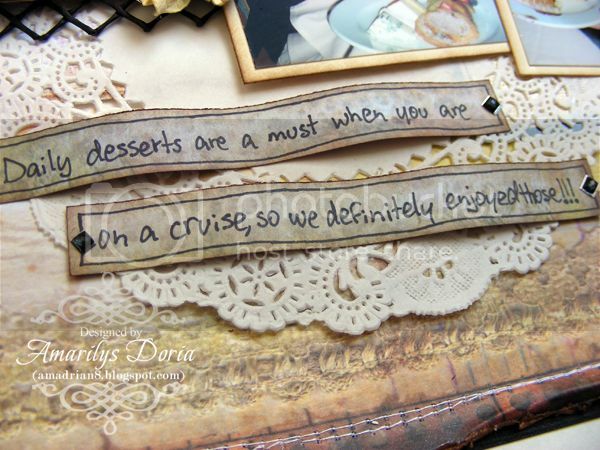 A big part of the cruise is eating and relaxing and it was always a guessing game what would we have for desert that day dafter dinner! The butterfly is from the May kit and the DA chippie is from my stash. I used the flower packaging as a tag because, well, it's a tag! I loved the neutral color s so much that I just added s trip of pink and bling and added it to my layout as another layer! Beautiful!! I love the design!